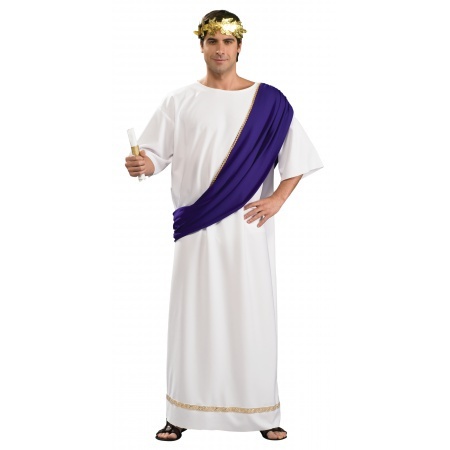 This Roman emperor costume for men includes a full length robe with attached drape, gold accent trim and head wreath. The Julius Caesar costume comes in adult size Standard. 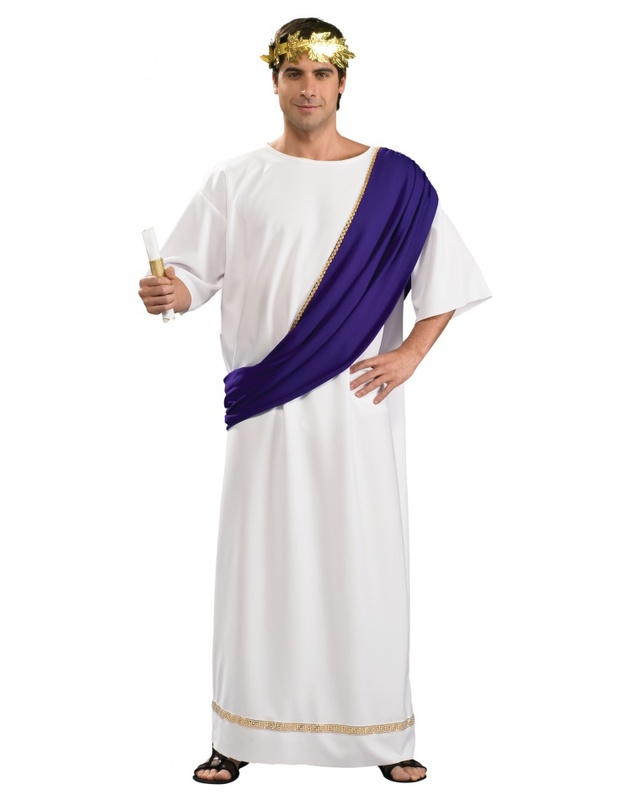 The scroll is not included with the Caesar costume.